Yutiti is a web based resource planning and project management tool that allow you to schedule resources (human resources, manufacturing, construction) and projects. It provides user-friendly graphical interface, interactive Gantt charts for real time collaboration. 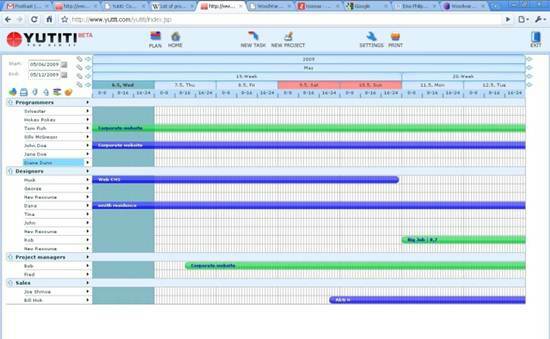 It make resource scheduling and planning more easy and effective. you can easily access your work from anywhere. Share Your plans with customers and colleagues in seconds. Monitor the progress of jobs while away. Also You do not have to worry about the software updates or backups. Easy to use Resource scheduling tool. you can immediately start scheduling after registration.